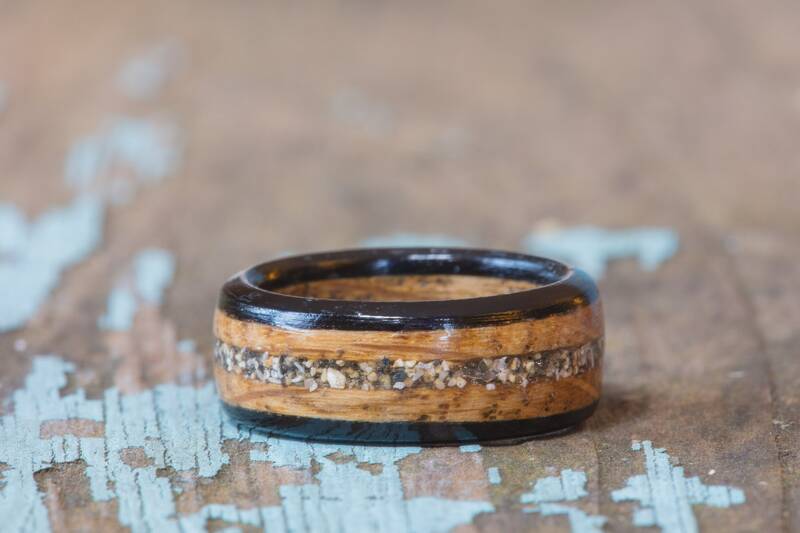 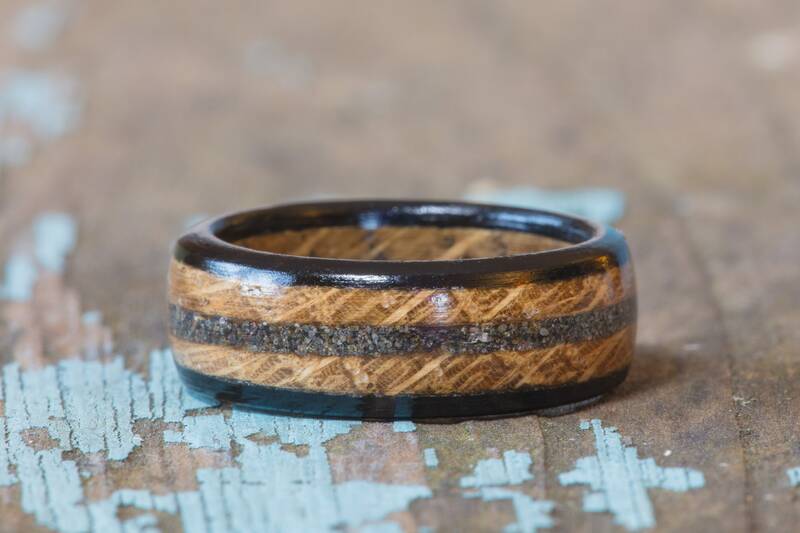 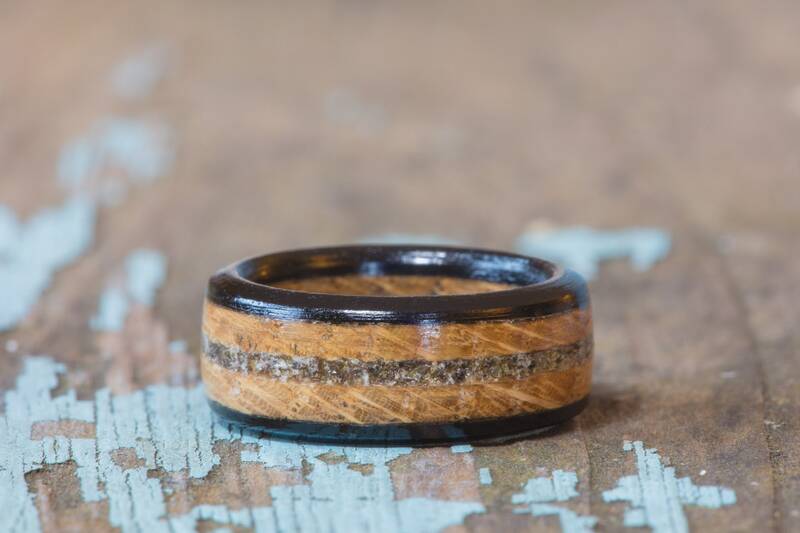 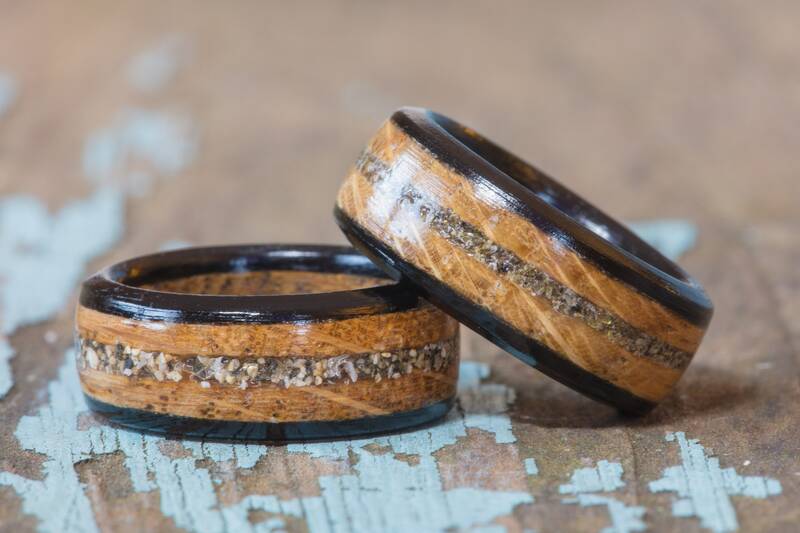 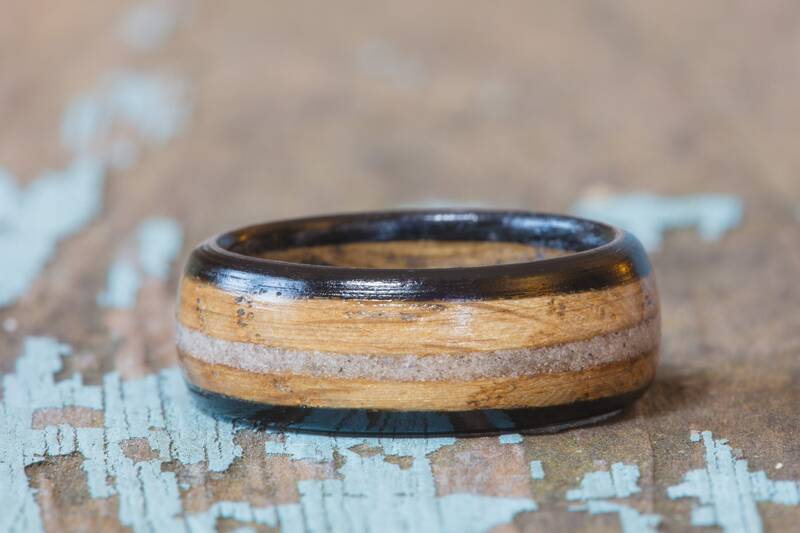 This unique ring is made from a used Tennessee whiskey barrel with black ebony wood edgingand is inlaid with sand that you provide - just a spoonful of sand from your honeymoon or beach wedding to make a unique wedding band or anniversary gift. 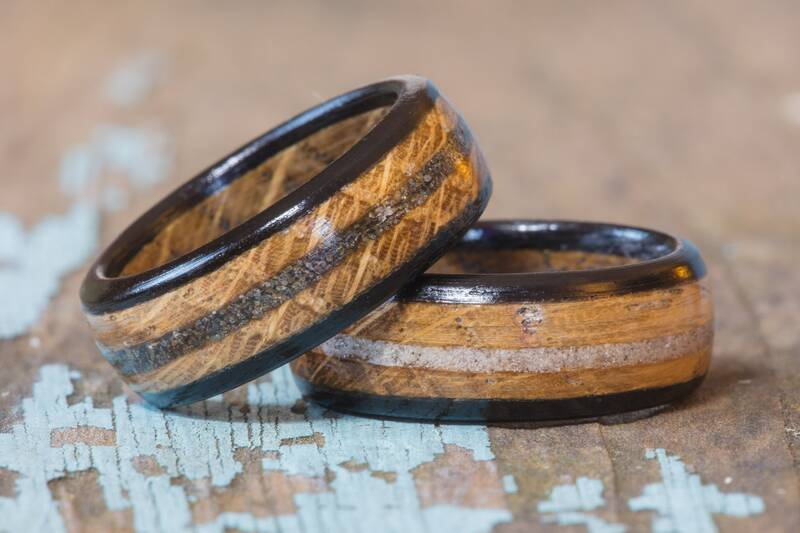 Once you order, we'll provide you with detailed info for shipping sand to us within 24 hours via email. 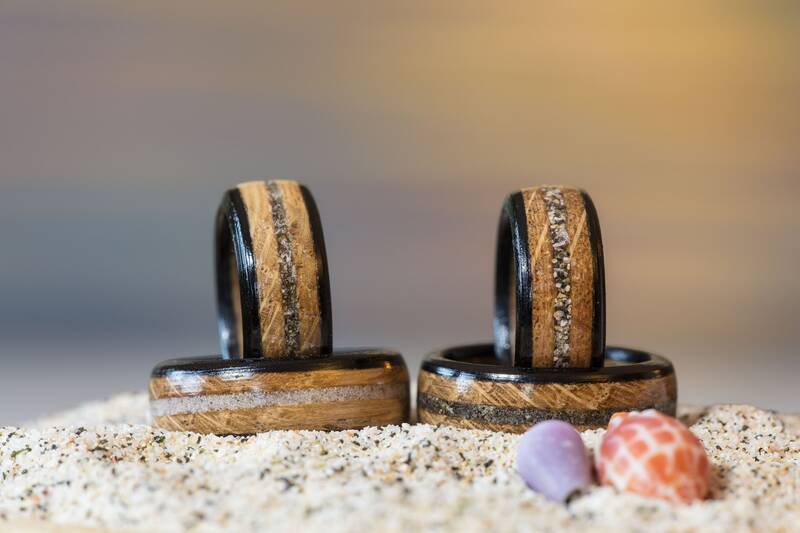 If you do not see an email after 24 hours, please double check your spam folder.